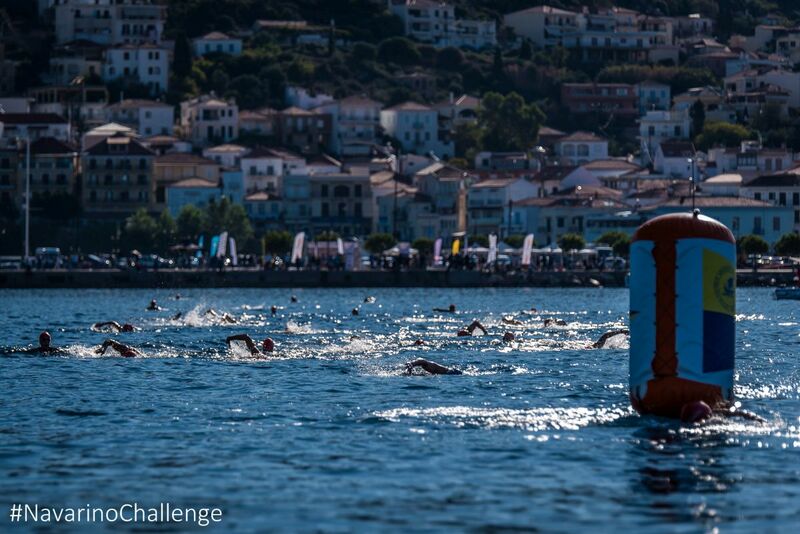 The 1 mile swimming route of Navarino Challenge at the Navarino Bay, at Pylos port (photo by Elias Lefas). 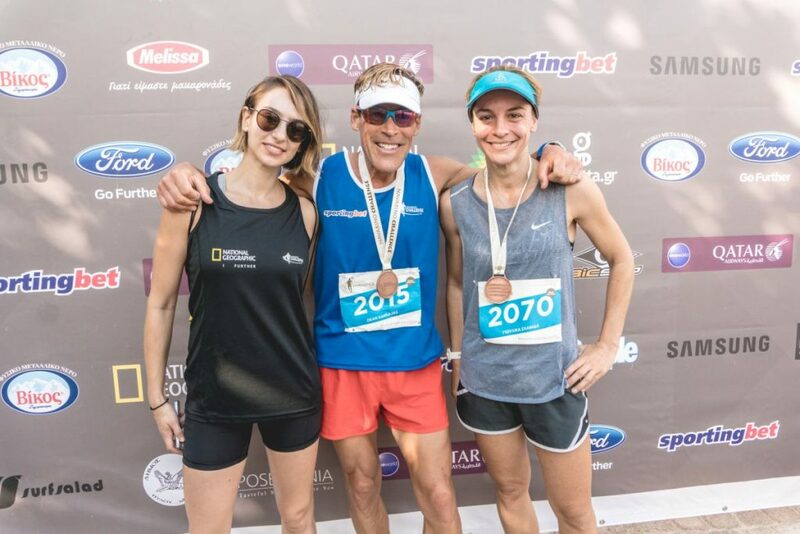 Over 2,000 professional and amateur athletes enjoyed perfect weather conditions while taking part in the sports activities of the fifth “Navarino Challenge” that took place October 13-15 in Messinia and Costa Navarino. Participant runners in Navarino Challenge (photo by Babis Giritziotis). The popular three-day Greek sports tourism event offered a full program this year that included 16 sports activities. The event promoted the Olympic Spirit and “Fair Play” through the participation of role-model athletes, reinforcing the message against childhood obesity through exercise and the Mediterranean diet. 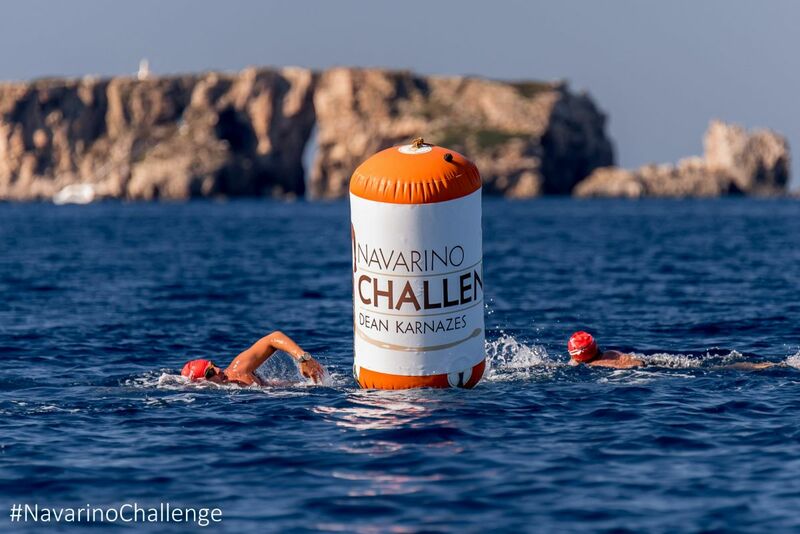 Once again, “Navarino Challenge” had an international appeal and attracted athletes from 17 countries: Australia, Austria, Democratic Republic of the Congo, Denmark, Egypt, Germany, Great Britain, Greece, Israel, Italy, Netherlands, Pakistan, Russia, South Africa, Sweden, Switzerland and USA. 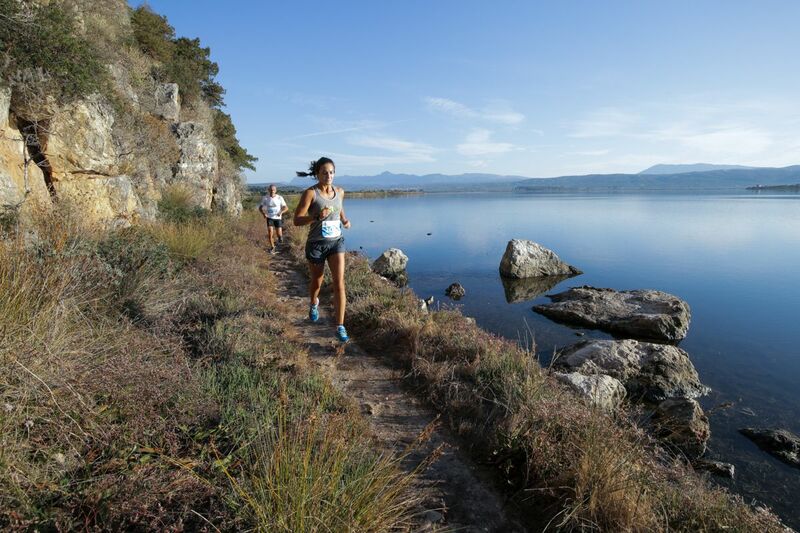 From the left: Elena Charbila, Dean Karnazes, Youlika Skafida in Navarino Challenge (photo by Mike Tsolis). 4on4 basketball tournament in Navarino Challenge (photo by Mike Tsolis). 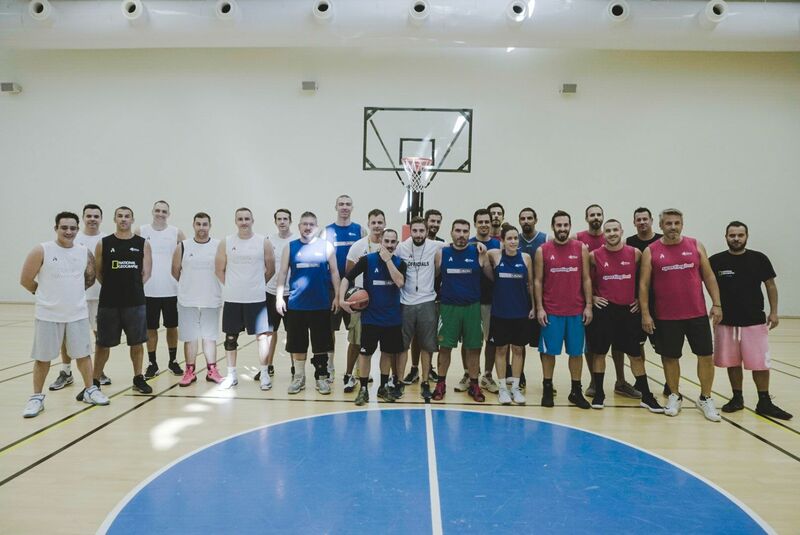 “Navarino Challenge” activities kicked off on Friday, October 13, with a 4on4 basketball tournament, which saw online gaming Sportingbet team crowned as champion. On Saturday, October 14, the event’s action was relocated to the port of Pylos where athletes covered the 1 mile (1.6km) swimming route designed by the Federal Swimming Coach and technical director of the event, Nikos Gemelos. Greece’s world champion in open water swimming, Kelly Araouzou, participated in the event, which was held under the auspices of the Hellenic Swimming Federation. 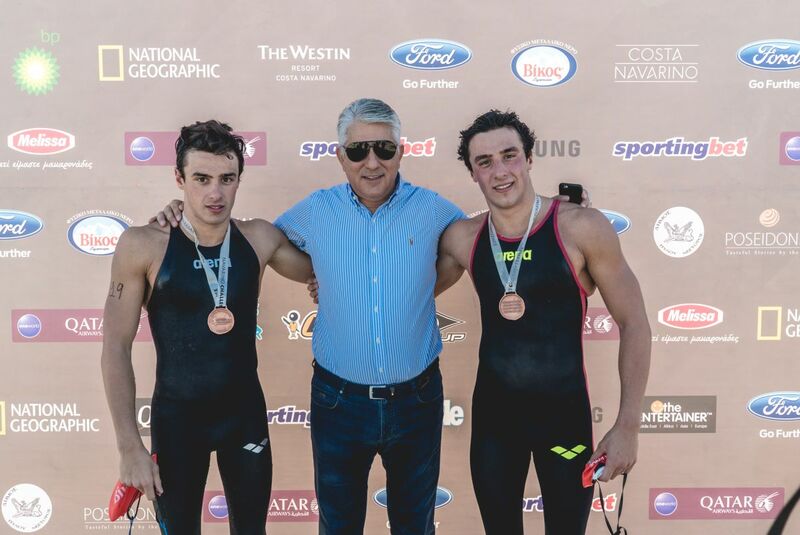 The awards for the top swimmers were given by the Mayor of the Pylos-Nestor Municipality, Dimitris Kafantaris, during an award ceremony that marked the start of the 190th anniversary events for the Navarino Naval Battle, which will culminate this week. Pylos-Nestor Mayor, Dimitrios Kafantaris with the first swimmers in Navarino Challenge (photo by Mike Tsolis). Another “Navarino Challenge” event that drew in the crowds and saw registrations stop one week earlier due to high participation numbers, was the Stand Up Paddling by BIC® Sport relay race held for the second year. Sunday, October 15, was the day of running. Amateur and professional runners had the opportunity to choose between the Half-marathon (21.1km), 10km, and 5km (running & dynamic walking) routes. Runners started from Navarino Dunes in Costa Navarino and ran a coastal route to Pylos beach, crossing the Voidokilia beach and following the actual trail mapped out, back in Homer’s years, by Telemachus, Ulysses’ son, who was trying to find his missing father. 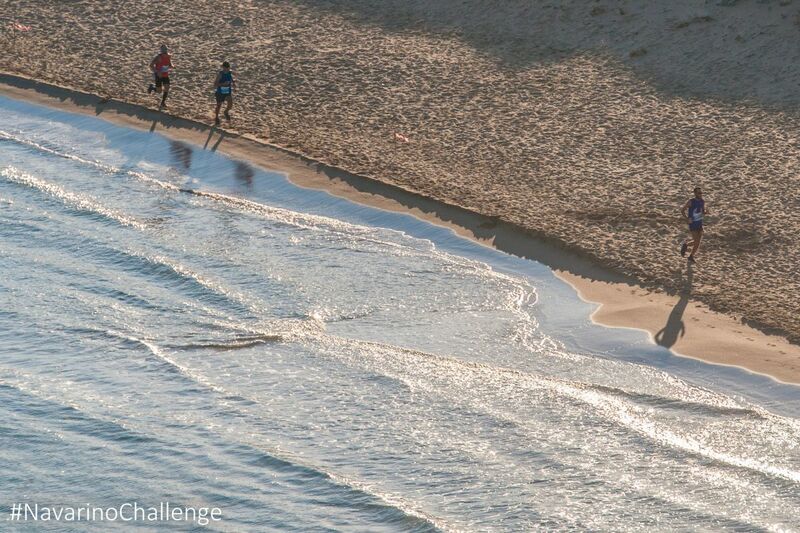 Navarino Challenge runners crossing Voidokilia beach (photo by Elias Lefas). 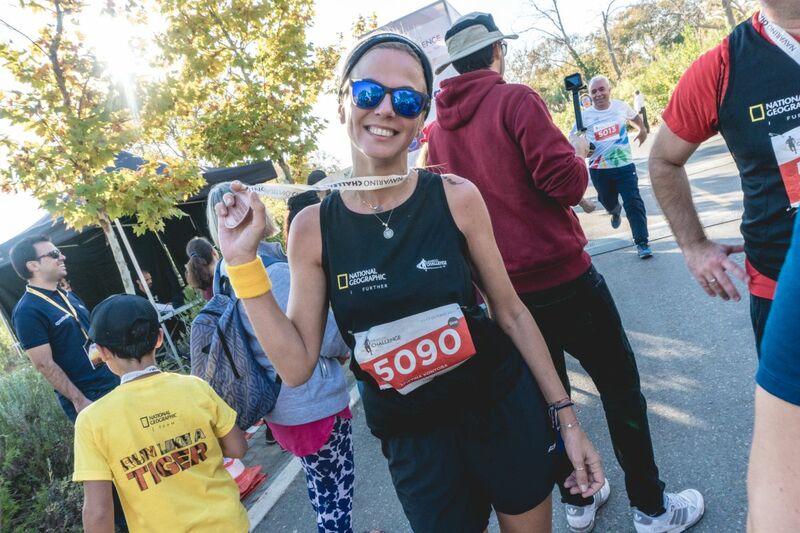 The races were also attended by runners from the Sport Club with people with special needs from Kalamata, “Diaforozo”, celebrating their participation in the “Navarino Challenge” during the International White Cane Day (October 15th). Massive participation of kids in the 1km running route of Navarino Challenge (photo by Mike Tsolis). 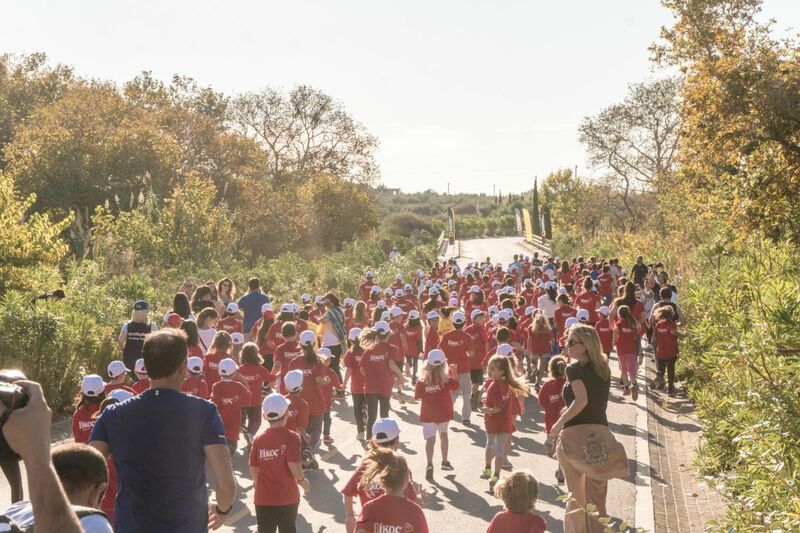 On the same day, the 1km kids running race was held with the participation of many children from the whole region as well as clubs such as Messiniakos and Akritas. All routes were designed and planned out by the former marathon runner, holder of national best performance on the classical route, running coach and director of All About Running, Nikos Polias. The 21.1 km race was conducted with the participation of Dean Karnazes. For the first time in this year’s event there was a time recording for all runners. The results can be found here. Aqua Aerobic lessons in Navarino Challenge, supported by Swim Academy (photo by Mike Tsolis). The renewed program of “Navarino Challenge” offered activities for the whole family at The Westin Resort Costa Navarino within the three days of the event. 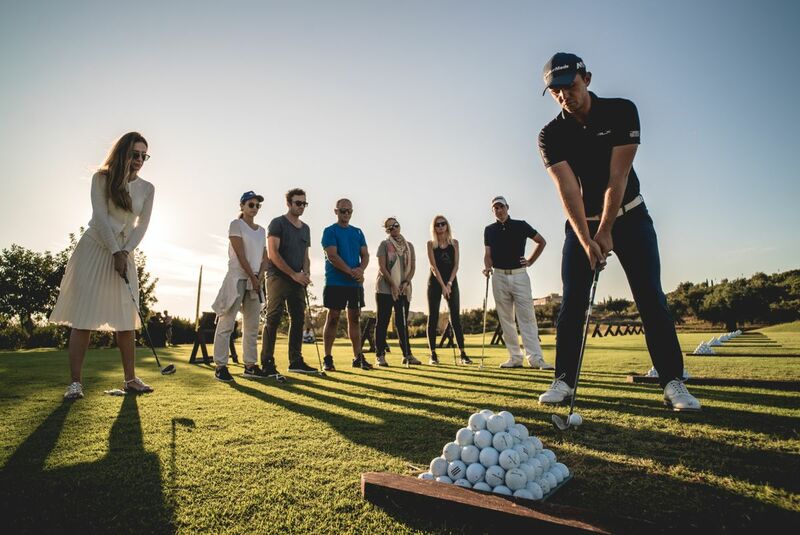 Golf clinics in Navarino Challenge supported by Navarino Golf Academy (photo by Mike Tsolis). The program included activities such as Boccia, under the auspices of the Hellenic Paralympic Committee (with the Golden Paralympic athlete Grigoris Polychronidis), climbing and bike ride in Voidokilia (with the support of Navarino Outdoors), pilates (with the physical education instructor, Mandy Persaki), basketball, golf (with the support of Navarino Golf Academy), kick boxing (with the champion Alexandros Nikolaidis), baby swimming and aqua aerobic (supported by Swim Academy), tennis cross training (supported by Navarino Racquet Academy) and boxing (with the support of Vizantinos target sport club). Kids’ Athletics in Navarino Challenge, at Pylos square supported by Kinder+SPORT (photo by Mike Tsolis). 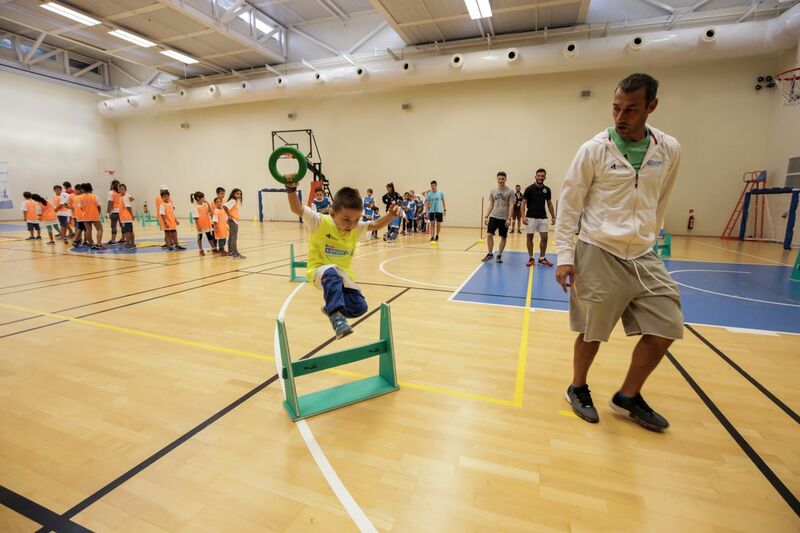 Aiming to reinforce children’s physical activity, Kinder + SPORT, Ferrero’s Corporate Social Responsibility Program, this year supported the Kids’ Athletics event of “Navarino Challenge”. Kids’ Athletics is an action that has been developed by experts from the International Association of Athletics Federation (IAAF). Kids’ Athletics with Olympic & World Champion, Periklis Iakovakis in Navarino Challenge, at Costa Navarino supported by Kinder+SPORT (photo by Babis Giritziotis). 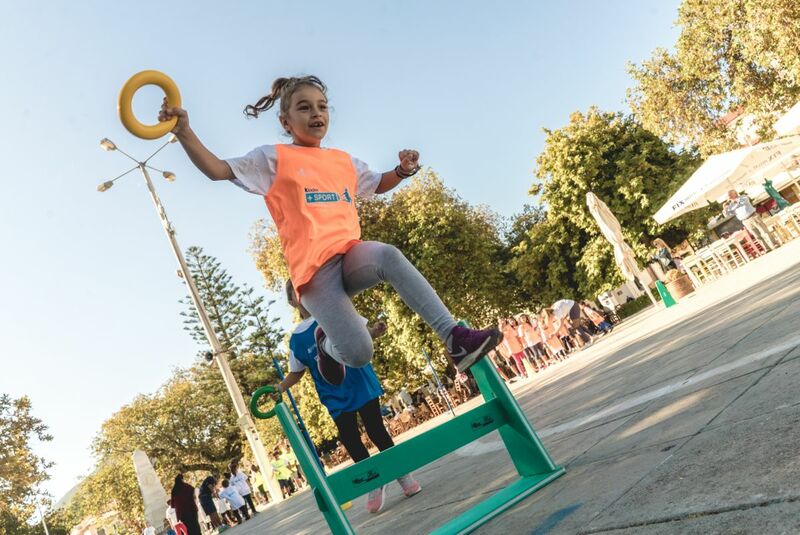 The event took place at Pylos Square and Costa Navarino and was hosted by the ambassador of the program Periklis Iakovakis, Olympic and World Champion at 400m with hurdles, who introduced the athletics sports and sports values to the participating children. Kinder + SPORT also supported the TaeKwonDo lessons with the twice silver Olympic medalist Alexandros Nikolaidis and the numerous participations of TaeKwonDo teams, among others, from Kalamata and Kyparissia. The activities supported by Kinder + SPORT also included the 1km kids running, the bike ride on the beautiful beach of Voidokilia and the indoor climbing lessons. Award ceremony of a double airline ticket given by Qatar Airways Country Manager Greece & Cyprus, Theresa Cissell to the lucky winner of the contest organized by Qatar Airways during Navarino Challenge 2017 (photo by Mike Tsolis). Qatar Airways, the event’s official airline partner, on Saturday held the special event “A Night to Remember by Qatar Airways” and welcomed all “Navarino Challenge” guests. Hosted by Greek presenter Maria Bekatorou and under the sounds of the gypsy jazz rhythms of the “Manounchedrome” band, the event’s agenda included honorary awards for successful athletes who have been distinguished worldwide, such as Olympic gold medalist and World Champion in rings, Lefteris Petrounias and Boccia’s gold Paralympic athlete, Grigoris Polychronidis. Qatar Airways Country Manager Greece & Cyprus, Theresa Cissell with the ultramarathon athelete Dean Karnazes (photo by Mike Tsolis). 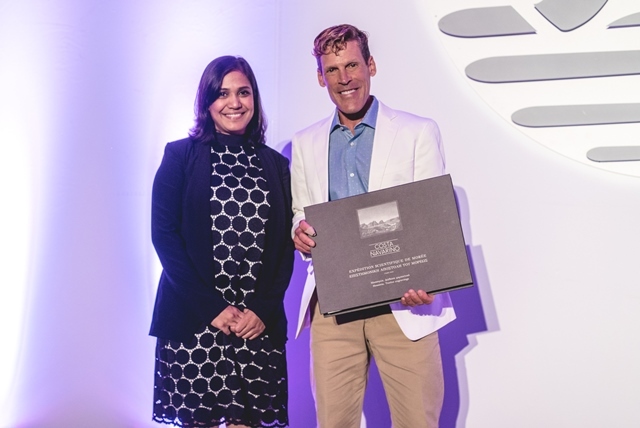 The event’s central figure was “Navarino Challenge” ambassador, Greek-American ultramarathon athlete Dean Karnazes, who was awarded by Qatar Airways Country Manager Greece & Cyprus, Theresa Cissell. 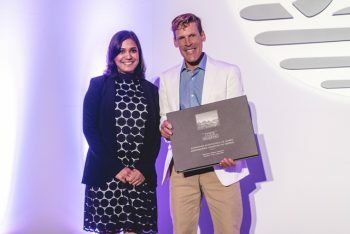 Honorary distinctions were also given to the parents of Dean Karnazes by the Navarino Challenge Co-Founder, Peter Poulos and Active Media Group’s Chief Executive Officer, Aki Tsolis. 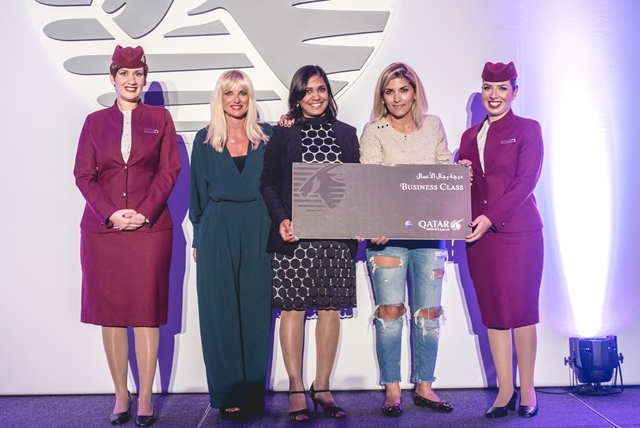 The night wrapped up with a draw by the award-winning airline for two airline tickets for any destination in the world covered by the Qatar Airways network. For the first time at the “Navarino Challenge”, Samsung, as the official technology partner, offered its innovative services through the Samsung Galaxy ecosystem. The Samsung Galaxy S8 and S8+, combined with the Gear 360 camera and Gear VR, enriched the experience of attendees and spectators with unique content at 360 degrees. Christina Kontova, member of the National Geographic team, at her climbing lessons in Navarino Challenge supported by Navarino Outdoors (photo by Babis Giritziotis). Organized by Active Media, “Navarino Challenge” was held under the auspices of the Greek National Tourism Organization and supported by Costa Navarino and The Westin Resort Costa Navarino and the Municipalities of Pylos-Nestor and Trifilia. With the new foodtruck of Melissa, “Melissa On the road” and the food blogger Mamatsita, all participants had the opportunity to taste her special autumn recipes (photo by Mike Tsolis). The official sponsors of “Navarino Challenge” were Sportingbet, Natural Mineral Water “Vikos”, Ford Motor Hellas and official supporters included Kinder + SPORT, BP, BIC®, BIC® Sport, GoPro, Wyndham Grand Athens, Poseidonia, Surf Salad, QNT, TREA, The Entertainer. The event was assisted by Inbi, Navarino Outdoors, Swim Academy, Navarino Racquet Academy, Health Runners Club of Messinia, Pylos Association of Enterprises for Tourism Development, Ναυτικός Maritime Athletic Pylos Association “Nestor”, Explore Messinia, Navarino Golf Academy, Hellenic Athletics Federation (SEGAS), IAAF Kids Athletics, Vizantinos target sport club, Target Security, Dimiourgies, The Diner, Orangeland Sparta. 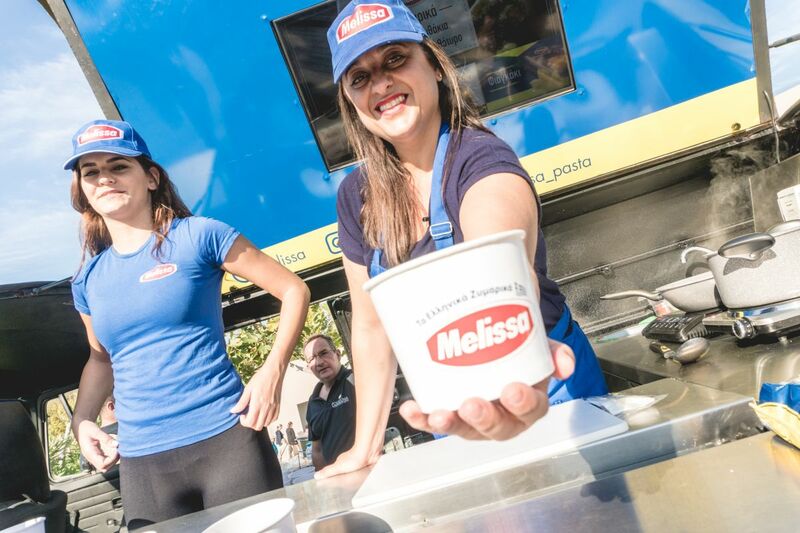 The event’s official nutrition supporter was Melissa pasta. National Geographic of FOX Networks Group Greece was once again the strategic partner of the event. The Greek Travel Pages (GTP) was a media sponsor of the 5th “Navarino Challenge”.